We were big fans of the US women’s curling team back in 2010 in Vancouver, and it looks like we’ve got another delightful squad on our hands. 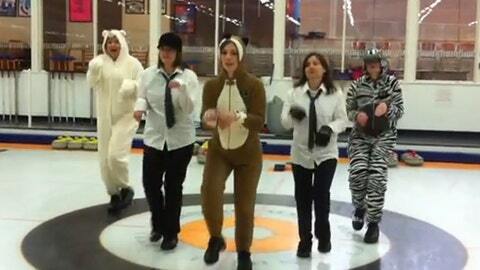 With the Sochi Olympics approaching fast, the ladies of the ice took time out from their practice regimen to deliver their take on the viral — if baffling — song "What Does the Fox Say?" by Norwegian pop duo Ylvis. The lyrics are altered to fit curling because of course. And even though it looks like it’s just set to highlights from their dimly lit practices, don’t worry … the animal suits come in around the 50-second mark.